Concept game controller for gamers and other uses, carrying a smart and stylish design with reduction in parts, in complexity and in production cost. 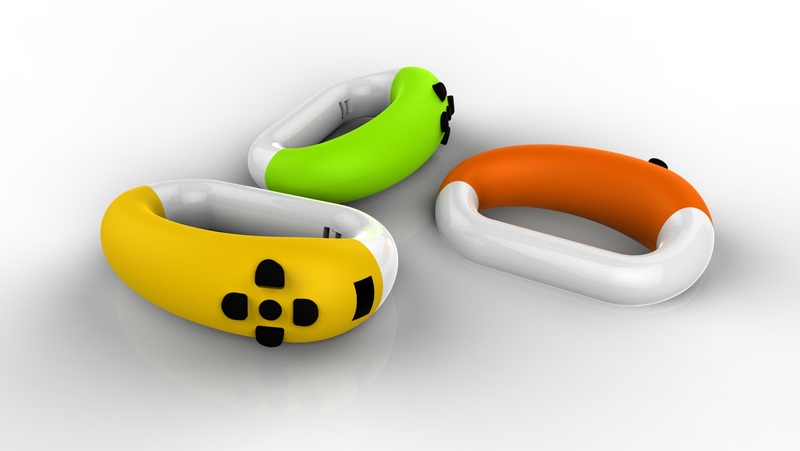 We designed this concept game controller for gamers and other uses. It carries a smart and stylish design with main consideration the reduction in parts, the complexity and the production cost. The design of this specific game controller follows the philosophy of the DVD game consoles. It has wireless control (see Nintendo™ Wii) and is similar to the type of games that don’t require the use of many buttons. 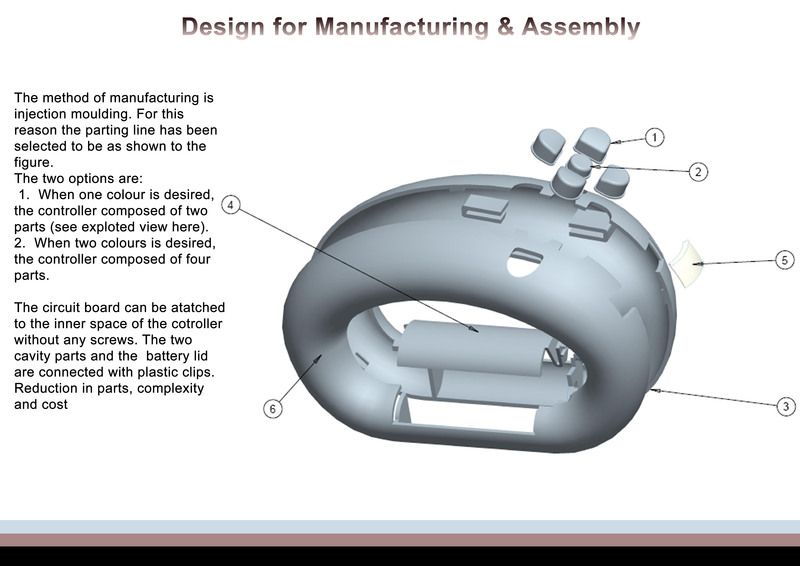 The aim was to design a game controller which presents high ergonomics – stability, best fit and feel for the player. 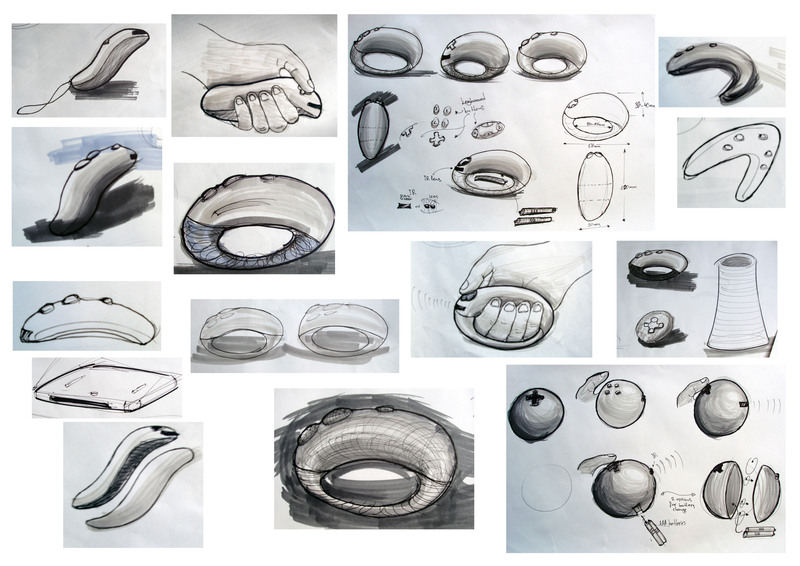 The observation of geometric shapes in the environment and a series of sketches, led to the current elliptical shape design. After finalizing the design, we built a foam model of the controller in order to examine the ergonomic characteristics (some of them were difficult to predict in the sketch phase). The controller fits in every hand size, either the user is a child or a man, either is left or right handed. Finally, the product is characterized by a modern and personal style. The styling doesn’t exaggerate. Is it is contemporary and fits to the modern living environment of the user.